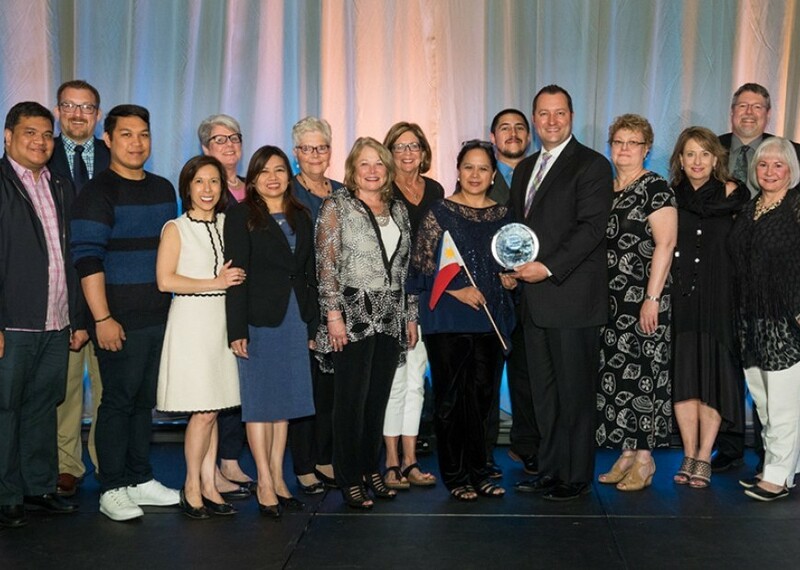 Last May 2, 2018 in west Palm Beach, Florida USA , the American Nurses Credentialing Center led by the CEO of ANA Enterprise, Ms. Loressa Cole, presents the designation to St. Luke's Medical Center Global City, making it the 1st and only Pathway to Excellence Designated Hospitals in the Philippines: (l-r) Mr. Roberto C. Sombillo, PhD, R.N., Associate Director; Mr. Jomar G. Dela Cruz, DNM, MBA, R.N., Magnet® and Pathway® Manager; (4th from left) Ms. Maria Rosario G. Peña, MAN, R.N., Magnet® and Pathway® Oversight; and (5th from right) Ms. Maria Martina Geraldine Q. Dimalibot, PhD, R.N., Senior Vice President and Chief Nursing Officer of Nursing Care Group. St. Luke’s Medical Center Global City is pleased to announce it has achieved Pathway to Excellence designation by the American Nurses Credentialing Center. The Pathway to Excellence designation identifies the elements of interprofessional work environments where nurses can flourish and feel empowered. The designation substantiates nursing job satisfaction at St. Luke’s Medical Center Global City, and identifies it as one of the best places to work. For an organization to earn the Pathway to Excellence distinction, it must successfully undergo a thorough review process that documents foundational quality initiatives in creating a positive work environment—as defined by nurses and supported by research. These initiatives must be integrated in the facility’s practices, policies, and culture. Nurses in the organization validate the presence of the criteria in the organization through participation in a completely voluntary and confidential online survey. As a Pathway to Excellence designated organization, St. Luke’s Medical Center Global City is committed to creating an environment where nurses excel and feel valued as integral members of interprofessional health care teams. This designation confirms to the public that nurses working at St. Luke’s Medical Center Global City know their efforts are supported. The honor encourages other nurses to join their colleagues in this desirable and nurturing environment. The Pathway to Excellence designation is perfectly suited to and desired by health care organizations around the world. The passion to continuously improve, redefine, and evolve excellence in medical and patient services has been the cornerstone of St. Luke’s Medical Center’s mission to deliver state-of-the-art healthcare. This is also guided by the following key drivers: good clinical outcomes, patient safety, education, training, research, a superior patient experience, and financial viability. To visit St. Luke’s Medical Center Global City’s Institutes, Departments, and Centers, you may contact the hospital at trunkline 789-7700, or visit the official St. Luke’s website. The American Nurses Credentialing Center, a subsidiary of the American Nurses Association, provides individuals and organizations throughout the nursing profession with the resources they need to achieve practice excellence. ANCC’s internationally renowned credentialing programs certify nurses in specialty practice areas; recognize health care organizations for promoting safe, positive work environments through the Pathway to Excellence and Pathway to Excellence In Long Term Care programs; and accredit providers of continuing nursing education. In addition, ANCC provides leading-edge information and educational services and products to support its core credentialing programs.